Go-anywhere randonneuse with everything there should be, ready to eat up the miles. The frame is fillet-brazed, made from Columbus Zona tubes. The drive-train is the crisp and solid Sram Rival 22 and Paul Components Touring Cantilever brakes will slow her down if necessary. Beautiful components by Gilles Berthoud (saddle, fenders, bar tape) and Vélo Orange (stem, seat post, handlebar) for the classy looks, SON Delux dynamo hub with Supernova lights to lead the way at night. 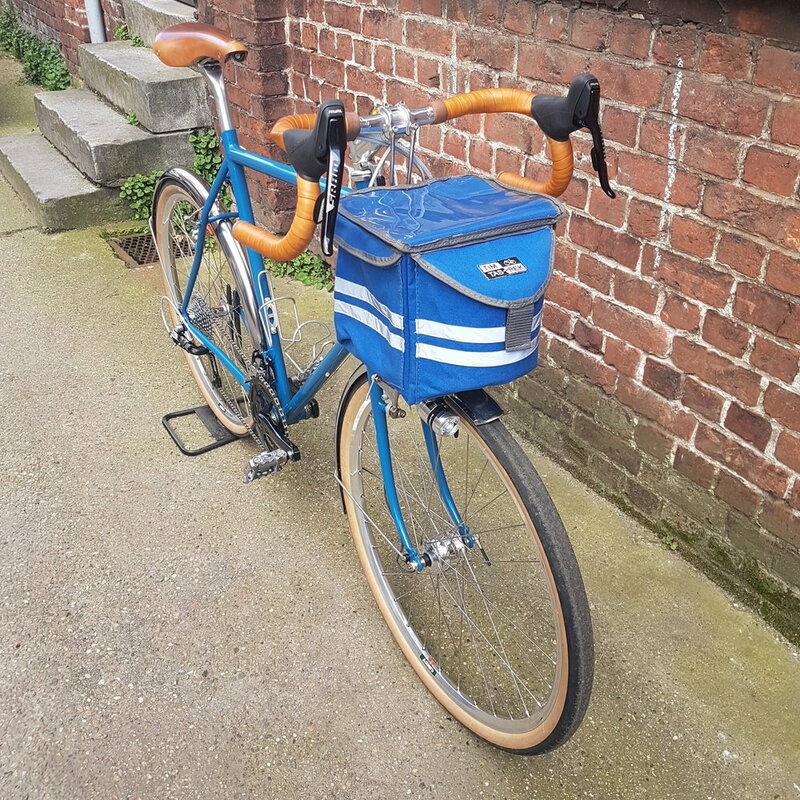 The randonneur bag by TimTas & Rek sits on a custom rack and decaleur designed specifically for this bike. The 650b wheels are assembled by Cycles Get Lost rolling on comfortable Compass Babyshoe Pass 42mm tires.